Also available on Amazon.com, Amazon.fr, and other Amazons and bookshops worldwide! To Think About . . .
Click to order other recommended books. As the system I was testing didn’t work out the way I was hoping, I’ve changed to Fast FVP which is proving to be everything I’ve been looking for. A bit of loosening up of the rules has made it much more flexible and seems to have overcome most of the problems I have found with it before and with such systems as Simple Scanning and FVP. Basically what I’ve done is to stick to what I said in the first paragraph of the Fast FVP article without adding the further complications in that article. Fast FVP is intended to be used with a “catch-all” list, i.e. a full list of everything you have to do. It is better to start off with a few tasks and build the list up gradually rather than attempt to write everything out to begin with. That way the list will build up naturally and you will be more aware of what is on it. Dot the first task on the list. You can do it straight away if you want to, but if you don’t want to you carry on scanning through the list dotting tasks that you intend to do. At any stage you can either work on the task you have just dotted or carry on down the list dotting further tasks. When you have worked on a task you cross it out and re-enter it at the end of the list if further work is needed on it. You then can either work on the previous dotted task or carrying on dotting further tasks. Whenever you reach the end of the list you must work on the last dotted task on the list. Adding further dots after the task you have just done. Fast FVP acts like a mixture of FV, FVP and Simple Scanning. In fact you can simulate FV and FVP within the rules of Fast FVP, and you can also simulate Simple Scanning with the one change that you have to do the first task on the list on each pass. You can also switch between them at any stage. I’m not suggesting that you should consciously think about this while doing Fast FVP. I’m just pointing out how very flexible the system is. Some recent comments have queried exactly what I mean by Speed and Direction in the context of High Intensity Time Management. So I think it would be a good idea to use a blog post to repeat and amplify my replies to those comments. You only work on that for as long as you feel like it. Subject to these any suitable scanning method may be used. The one I currently recommend is Simple Scanning, but I’m convinced that I can find a better way. I’m currently testing another system which may prove more suitable - or not. However what I’m about to say applies to any qualifying system. There are two aspects to speed. First, there is the amount of time it takes to scan for the next task. On the one hand there would be a FIFO system in which you just do the tasks in the order they are written on the list. There would be effectively no time spent scanning at all. On the other hand would be a system in which you have to scan the entire list each time before selecting the next task. With a large list scanning would take a long time. The second aspect is that speed is not just going through the whole list fast, but also doing the work fast. If you are bored and unmotivated your work slows to a crawl. But if you are fired up, you work much faster - and better too. Unfortunately the two aspects contradict themselves to some extent. If you tried to do your work in a strictly FIFO order, you would probably end up bored to tears and very unmotivated. Any time saved in scanning would be easily outweighed by the slow speed of the actual work. The ideal system has to be one in which the scanning time is kept as low as possible, but in which the emphasis is on keeping interest and motivation going. It refers to giving direction to your life - as opposed, at the other extreme, to drifting aimlessly. The idea behind HITM is that you have a big list which contains everything you might want to do. It’s then by working the list that you discover what you really do want to do. Anything that you decide that you are not going to do gets weeded out. As I think I’ve said before, I think the precise mechanism is less important than the approach. Unlike other approaches where not getting everything on the list done is seen as a failure, with HITM not getting everything done is seen as a success, i.e. it’s what’s supposed to happen. It’s the way you discover what you really want and ride the wave. In short it is what is called “being in the flow”. As I’ve said before, a list needs to become mature before it’s really effective but even on Day 2 there has been some movement. The most important is fitness. I did my 10,000 steps today and intend to keep that going. But I’ve yet to incorporate strength training. French and German have added themselves to Welsh. I know French well and German not so well, but they are both far advanced from where I’ve got to with Welsh. I’ve also got moving again on learning the Armenian alphabet (39 letters compared with 26 for English). Remember, these are not goals I’ve committed myself to or New Year resolutions. They are arising directly from what I am actually doing. I expect them to change and develop. There are two huge omissions from that list: Exercise and Writing Blog Posts. But, hey, it was supposed to be a day off! Now if I take this HITM thing seriously I should see my goals change and develop in ways which would be inaccessible otherwise. I’m starting to test a new HITM (High Intensity Time Management) system today. This is designed to improve some of the problems I’ve been having with “Simple Scanning”. Those of you who follow my blog will know that I made Simple Scanning the standard for HITM after the failure of another system for which I had high hopes. So Simple Scanning was always in default of a better system. The main problem with all “catch all” lists is that as the list gets longer so it becomes more and more difficult to control the timing of tasks. The whole point of a “catch all” list is that it is long. That is because the idea is that the list will filter all the ideas that you have been having and make coherent sense of them in your life. If this sounds like a tall order, it is! Another problem is that the longer the list the longer it takes to scan it. For instance FVP will scan a long list very thoroughly and effectively but takes a lot of scanning time to do so. And yet another problem is that if you lose either speed or direction, or both, you lose momentum and eventually will get bored with the list. What I have been working on for months now is the question of how to improve both speed and direction. I think I have now found an answer to this problem, but of course I won’t really know until I’ve tested it thoroughly. The testing started first thing this morning. If you haven’t already read the previous article on Simple Scanning then you need to do so before reading this. My original intention was to write a separate blog post about each of these characteristics of Simple Scanning. However it seems easier to write one post and cover all three in one go. They are by no means confined to Simple Scanning, but that seems to be the system which best combines them - the best I’ve been able to discover so far anyway. In Simple Scanning tasks are written on the list when you think of them, without any attempt to classify or order them. But as one works the list, so the tasks which get done together will be re-entered on the list together. So the very action of using the system tends to mean that, as you progress, the amount of scanning time becomes progressively shorter and the speed at which you select tasks off the list gets faster. 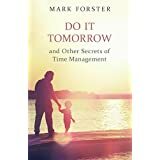 This particularly applies to routine tasks which need to be done at a particular time of day, such as a morning routine or an evening routine. Attenuation is almost the opposite effect to clumping. It is what happens to tasks on the list that don’t get done quickly. As other tasks around them get done so they get surrounded by deleted tasks. This has the effect of drawing attention to those undone tasks. The more the list gets attenuated the more the undone tasks stand out physically. This gives important information to your intuition. You can increase the contrast between tasks by joining contiguous deleted tasks by joining them together with a vertical line in the left margin. This gives you a very good picture at a glance of how many tasks remain on any given page. When you start a new list, you can’t expect to leap into full-ahead productivity immediately. It takes time for the list to mature. You usually find that you start off by working on easy, routine tasks. This is entirely how it should be because you need to get these routines well established before you can start on more challenging work. Gradually you will find that more and more of the “real work” gets incorporated in your routines. Routines are the basis of all good work. You will find it very difficult to keep up to date with your work if you only work on it by fits and starts. When you add a new project it too takes time to get established. Unless it’s urgent, your intuition will probably allow it to lie fallow for a bit, but once you start working on it it will become easier and easier to keep working on it. The effect of these three working together provides a high-speed high-volume method of tackling your work which requires no more than writing down what you have to do on a list, scanning it and working on the tasks which stand out. The method itself require an absolute minimum of overhead. As I said in an earlier blog post, I was using Simple Scanning as far back as twenty years ago. But at the time I did not realise its potential. I may say more about that in future posts. Up to now I’ve never written any formal rules for Simple Scanning preferring to describe it as “going round and round the list, doing tasks which stand out”. There are several concepts there which need explanation, particularly if you haven’t used any of my systems before. Simple Scanning is what I call a “long list” system. 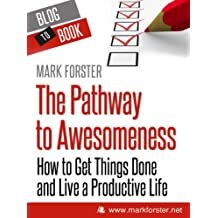 In long list systems the aim is to write everything down that you have to do, want to do or think you might do in one long list in no particular order. There should be no attempt to categorise, prioritise, or emphasise particular tasks in any way. There are no rules about what size individual tasks have to be or how they should be worded. Since this is an intuitive system it is recommended (but not essential) that you use paper and pen rather than electronic means. A lined notebook is ideal. If you use electronic means, be wary of time management apps which try to make you categorise and/or prioritise. These will work against the effective use of the system. The second concept which needs explanation is what I call “standing out”. This basically consists of scanning through the list, doing tasks which you feel you want to do now. Don’t ask yourself “Do I want to do this task now?”. Just let the tasks stand out of their own accord. For some people this comes easily and naturally, for others it takes longer to grasp. Don’t get too worried about it. There’s no right number of tasks to select per pass. Assume you are doing it right unless you either find yourself selecting every single task or alternatively none at all. Allow it to find its own level naturally. Another concept is that you should work on a task only for as long as you feel you want to. 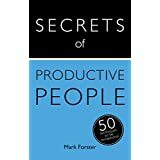 It is better to work “little and often” on tasks, than to work in huge bursts of activity - specially if the thought of a huge burst of activity puts you off from ever starting. So however long your list is, you should be doing only tasks which you feel you want to do now and only for as long as you want to do them. Write a list of things you have to do, would like to do or think you might do. One task per line. If you are not sure about a task write it with a query (?) after it. There is no need to make the list comprehensive because you can keep adding to it as you go along. Don’t make any additional markings to indicate category or priority. There are no rules about how you write the task - just as long as you can understand what you meant when you come back to it. Tasks can be as large or as small as you like. When you have finished writing your initial list, read it through quickly once to remind yourself of what is on it and where. Scan down the list until a task stands out as being ready to do. Work on it for as long as you like. When you have finished working on it for the time being, re-enter it at the end of the list if there is still work to be done on it or if it’s a recurring task. Cross out the task you have been working on. Continue scanning down the list and repeat Rules 8. to 12. until it is time to stop working. When you reach the end of the list, circle round to the beginning of the list. At the beginning of the next work period, start again from where you got to. Draw a line across the page at the beginning of each day. This helps to remind you whether you’ve done a daily task that day, and enables you to see how long any task has been on the list. When re-entering a task, do it in the following order: 1) Re-write the task at the end of the list 2) Cross out the old one. This will prevent you from failing to remember to re-enter a task, and also from losing your place. After a lot more experimenting, I haven’t been able to find a system which works consistently better than Simple Scanning. So I taken the decision that I’m going to be concentrating on that from now on. At the same time I’ve found out lots more about how Simple Scanning works and about what makes it suitable as the vehicle for High Intensity Use of Time. Over the next few days I shall be writing about each of these (not necessarily in that order) to show how they work together to produce the high intensity. I’m so pleased with this new system that I’ve decided that a blog post won’t do it justice. 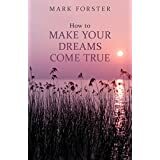 So I’m aiming to write an ebook which I will make available on this website. I haven’t yet even begun to sketch out the contents, neither do I have any idea what the word-count of the book will be. So it will be a measure of the system’s effectiveness how long it takes me to write the book without a publisher breathing down my neck. All the rest of the details will begin to take shape once I start working on it. 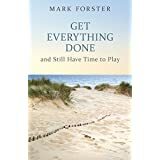 Using my latest method, which is designed to be a High Intensity Use of Time, I have done 94 tasks out of 149 in the last 24 hours with 55 tasks remaining on the list, mostly re-entries. During the day I was absent at a pub lunch with friends for four hours. I experienced no resistance, got everything of importance done (and everything of lesser importance too). And instead of feeling exhausted, I have been getting steadily more energetic throughout the day. By the time I went to bed less than four hours after posting the above I had done a further 30 tasks with 59 remaining on the list. Copyright © 2018, Mark Forster. All rights reserved.